Everyday we see the numbers that point to the change taking place in our religious communities and the lives of our members. Attendance is declining; RE enrollment is declining; families are changing; the young adults do not find our congregations relevant; youth are not retained and there are new life stages like emerging adulthood. It may seem as if we make some changes and another pops up needing attention. What does post modern mean anyway? Is the world moving too fast or are we moving too slowly? Multi Generational, multi cultural, racial diversity, mission driven, life span, congregations and beyond…. all new vocabulary for change. We start with what we do. The Congregation is the Curriculum. We begin as a team from a congregation exploring the Vision and Practice of 21st Century Faith Formation models, approaches, and technologies. 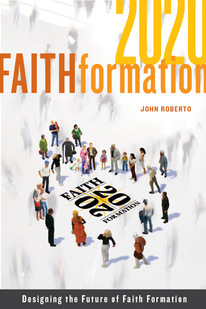 Faith Formation 2020 is an emerging vision of 21st century faith formation articulated by LifelongFaith Associates. As a team we can immerse ourselves in the research. As a team, we can explore the many aspects of the vision that make up the network of faith formation in our congregations. Worship, Learning, Social Justice, Community Building, and Leadership Development are the interdependent web in our communities. The change we are living into touches all of these aspects of our faith. We need to be in relationship with one another and with all the parts of our communities that create our curriculum to be ready to live into the change. Can you imagine a vibrant multi generational, multi cultural UU community that worships together, serves together, learns together and leads together? Can you imagine a place where there are experiences and content for all ages and generations that celebrate and challenge our UU Identity? Can you imagine a place where we all are deeply called to live our faith in the world, children, youth and adults together? Can you imagine our church beyond walls? I am excited and inspired by the possibilities for creative collaboration. We are all the church and called to be the church in the world, to be the change. Consider taking a team from all the corners of your congregation to this workshop. Everything we do is Faith Formation. Everything we teach is Unitarian Universalism. Our congregation is the curriculum. A number of UUA staff members are attending these three day trainings across the United States. If you are going to one this year, please contact Tandi Rogers at trogers@uua.org to be connected to other Unitarian Universalists participating. 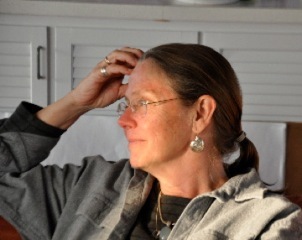 Sue Sinnamon serves our UUA in the SouthEast Region as the Co-Director for Evangelism and Growth. 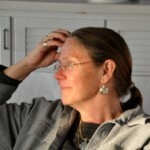 She served as MRE for Fountain Street Church, Grand Rapids, MI 1990 – 99 and The Unitarian Church of Evanston, IL, 1999 – 2007. She loves our faith and wants it to thrive to help our children youth and adults and future generations serve our world. I am concerned and dismayed that we are sending UU teams to a definitely Christian workshop series without having a larger discussion about how that Christian faith formation view might fit into the more expansive UU faith. I’m not sure why we think we will learn how to sustain vibrant UU faith communities from a group that “describes people of vibrant faith as AAA Christians” (http://www.youthandfamilyinstitute.org/about_us.html, website of Vibrant Faith Ministries, the sponsor of the 21st Century Faith Formation workshops). I’m not saying we shouldn’t learn from other faiths.That’s exactly what we should do. I do a lot of interfaith work in my community, and I am constantly learning from leaders from other faiths.But we shouldn’t be trying to “do church” like Christians, Muslims, Pagans, or any other religion. We need to be figuring out how to “do church” like Unitarian Universalists, which may include learning from other faiths but must also include thinking unique to Unitarian Universalism. I didn’t see that discernment reflected in this blog post. What I’d like to highlight for you is what’s happening outside of the training – which is that the staff and other interested folks are having rich conversations about the practical applications of what we’re learning to our work with UU Congregations (and Beyond…) We’re having conversations about what “fits” and what doesn’t – as with anything UUs encounter – and we’re being enriched by each other’s unique perspectives. That’s why Sue is inviting you and other UUs to join us, so that we can have a common experience that serves as a touchstone for our work together as a learning community; similar to when groups read a common book about a topic, but way more interactive! I want to clarify some points about this training. Vibrant Faith is the host, but the training was developed by Lifelong Faith Associates in response to the changing patterns of church affiliation, trends in the culture and recent research on faith communities. The Unitarian Universalists participated in much of the research and the changes described are changes we are experiencing in our communities . The training focuses on process and models of faith formation in response to these trends and cultural changes. 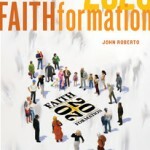 if you want greater detail, go to Faithformation.net and review the chapters of the book available on this site. One of the reasons we encourage teams to attend is to have a group to reflect on what is applicable to our communities.